Scottie’s Auto Body in Hillsboro, Oregon, repairs and recovers all cars, inside and out. Unsightly tears, cigarette burns, stains and stickiness ruin your car’s presentation and can be uncomfortable to ride in. 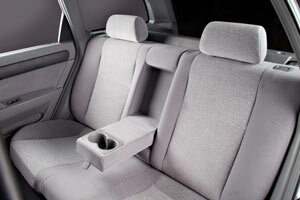 Stop covering up your car’s natural interior shine with concealing seat covers or cleaners that don’t work. Restore your interior and take years off your car’s appearance. Our experienced mechanics put the same care and quality into interior work as exterior, with the same efficiency, expertise and attention to detail. We repair leather, cloth and vinyl in seats, panels, carpeting, convertible tops and all other upholstered surfaces. From complete recovery work after an accident, careful restoration for classic cars or stains, rips and burns in the family car, our interior repairs are guaranteed to impress. Call Scottie’s Auto Body today at 503-640-8733 for more information about our upholstery repair.